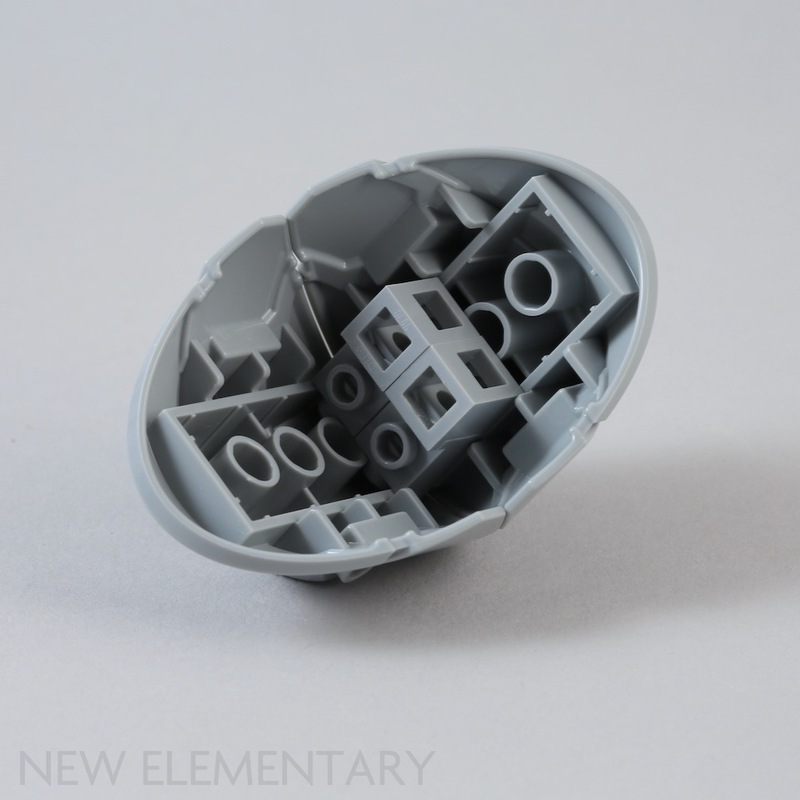 There are three new moulds in this set, very exciting for those of us who love new elements! I thought I would go through each new element and briefly describe how they are used in the set. Let's start with the new weapon handle element. Across the Overwatch theme, this element actually appears in four different colours: Black (6253695), Dark Stone Grey [TLG]/Dark Bluish Grey [BL] (6255067), Light Purple (6254789) as found in this set and White (Element ID 6253694). We will be taking a closer look at this element in upcoming posts but it certainly has plenty of potential connections. The handle is a 3.18mm bar and the 'barrel-end' is a 3.18mm hole. The remaining three connections are all recessed studs. 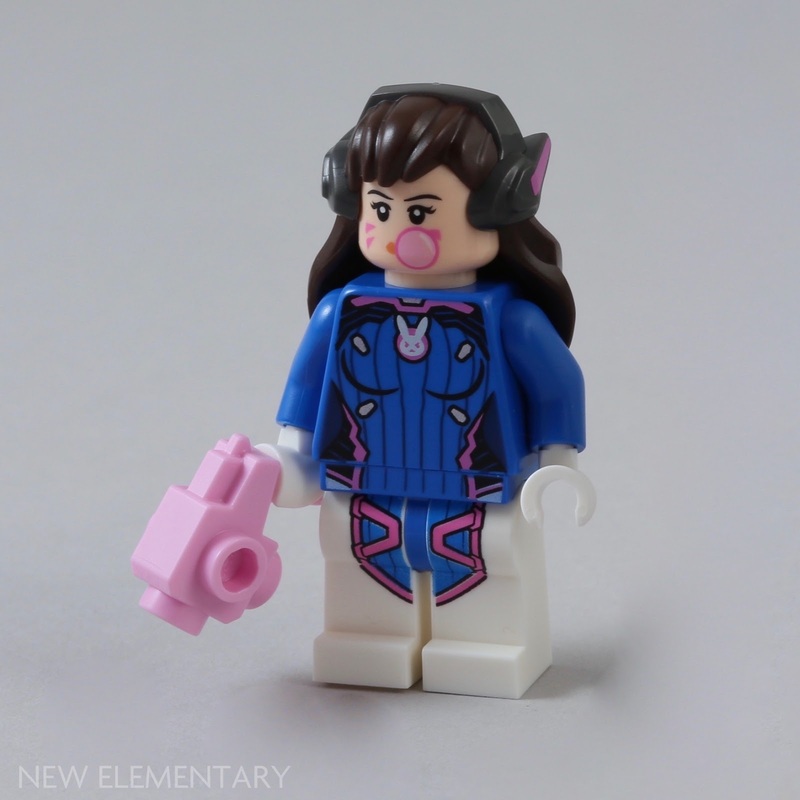 It is used as a weapon in the set and only one of the plentiful supply of potential connections is used - the 3.18mm bar is held by the D.Va minifigure. There's a lot more that can be done with this new element! Medium Stone Grey Design Element 5x5x3 (6254171|49523) looks as though it could be a constraction element on first viewing. 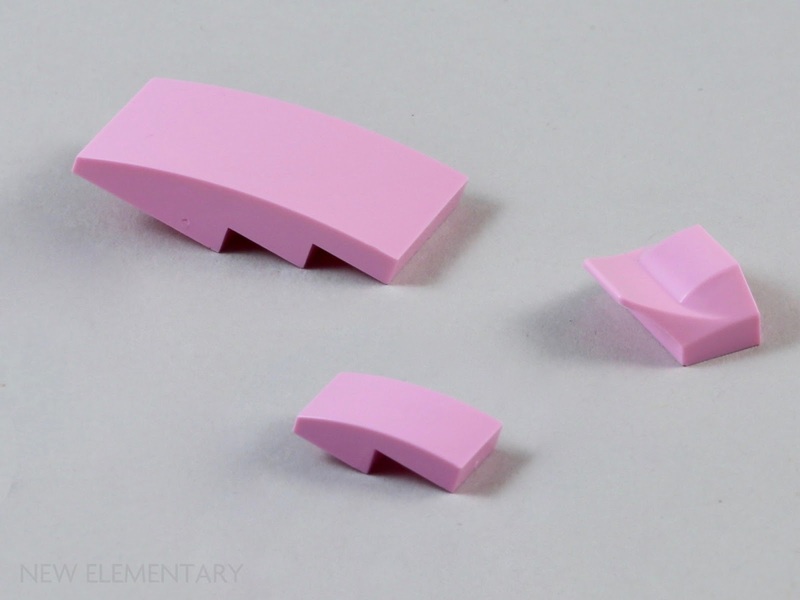 It is actually a curvaceous system element as the underside connects like the underside of a 2x4 Brick (3001). It also has a recessed stud on either side of the central curve, above the shield-shaped area. 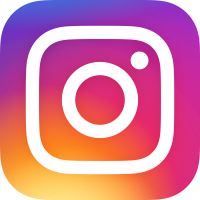 The two elements can fit together very nicely and it made me long for more to complete the smooth rounded square. I did think that this particular shape could work well as some sort of armoured, mechanised armadillo. The element should have stickers but I didn't actually apply my stickers as I wanted to play with the parts a little for future posts. 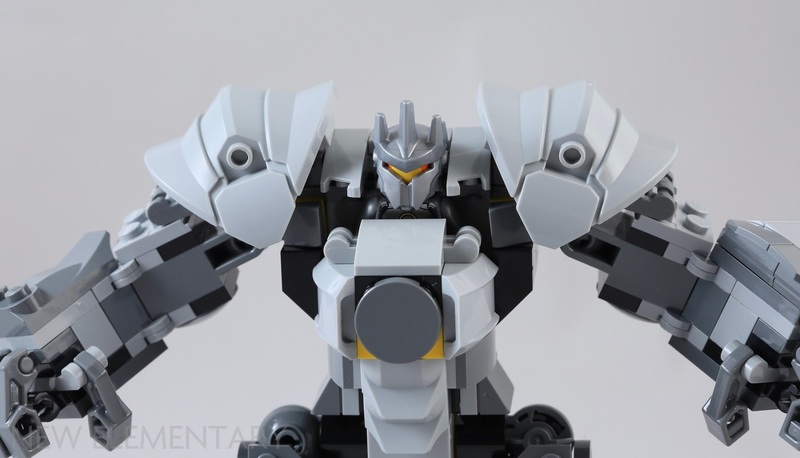 It is used as Reinhardt's shoulder pauldrons and attaches to the arm via a couple of clip hinges and seems to have been designed specifically for this set when compared to the character in the game. It looks a lot better with the arms raised slightly as there's an ugly gap when the arms are dropped to down at the sides as you can see in the second image. 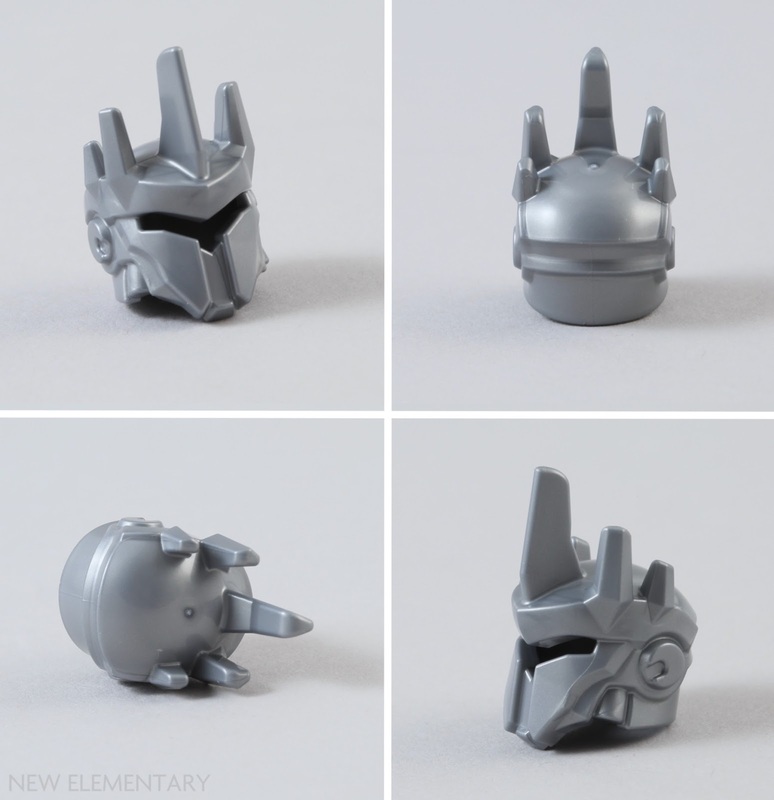 The final new mould belongs Reinhardt and it depicts the helmet he wears when in position in his mech in the game. 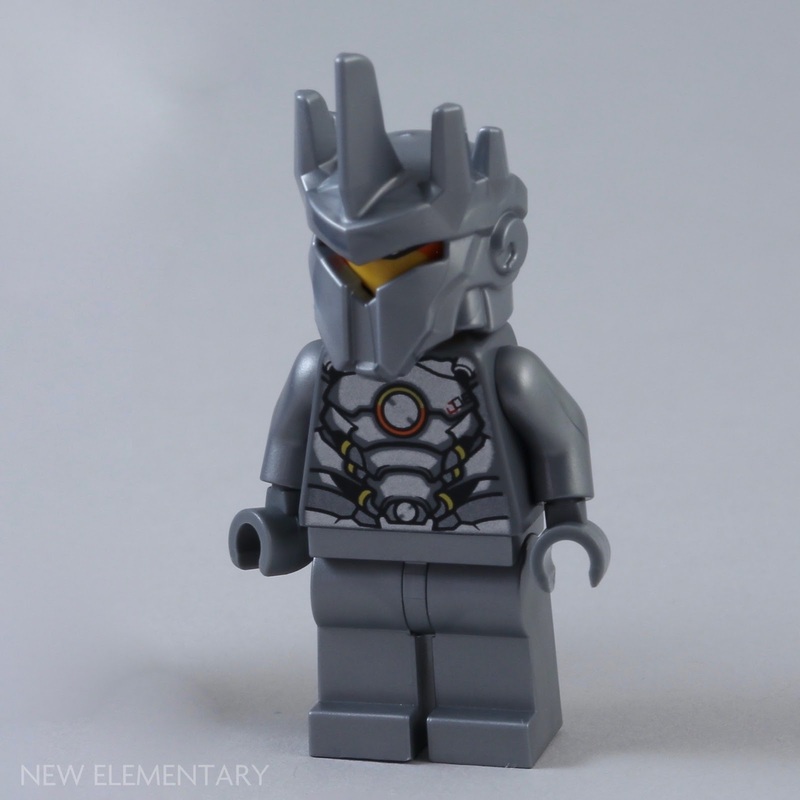 Many folk have already commented on its potential as Sauron's helmet from the Lord of the Rings trilogy. In addition to the new moulds, there are also a nice collection of new elements that are known moulds but appear for the first time in a certain colour. 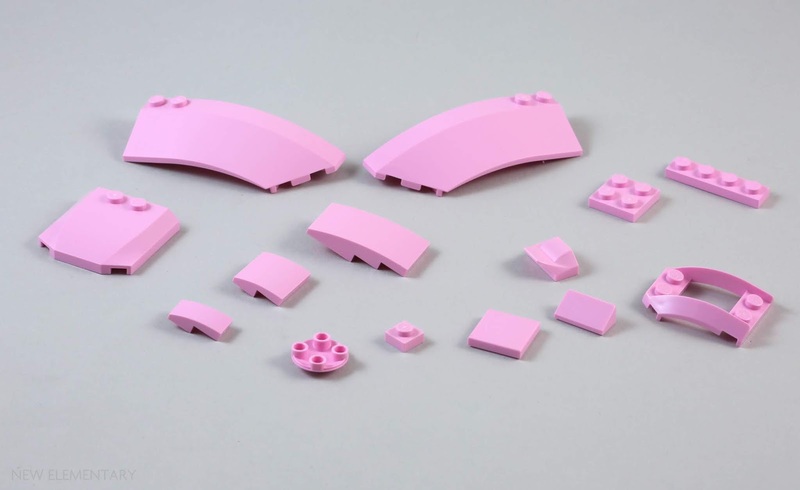 In general, Light Puple [TLG]/ Bright Pink [BL] has a good selection of elements supplied in the set as you can see, and out of these Light Purple elements, six appear in this colour for the first time. The three curved slopes are all new in this shade and you get four Light Purple Plate w. Bow (6254396|11477), four Light Purple Plate w. Bows 2x1½ (6254401|47458) and two Light Purple Brick w. Bow 2x4 (6254878|93606) in the set. In addition the set contains two Light Purple Plate 2X4X1 1/3 W. Side Bow (6254877|4775), this is the second re-colour of this element in 2019 as it also came in Earth Blue [TLG]/Dark Blue [BL] (Element ID 6251249) as you can see in our review of 10265 Ford Mustang. Light Purple Left Shell 3X8X2 W/Bow/Angle (6254875|41750) and Right Shell 3X8X2 W/Bow/Angle (6254872|41749) are also new colours for this element. Interestingly, these shell elements have been around since 2002 when they first appeared in Bright Yellowish Green [TLG]/ Lime [BL] within 4589 Nitro Flash, and they have appeared in sixteen other colours since. 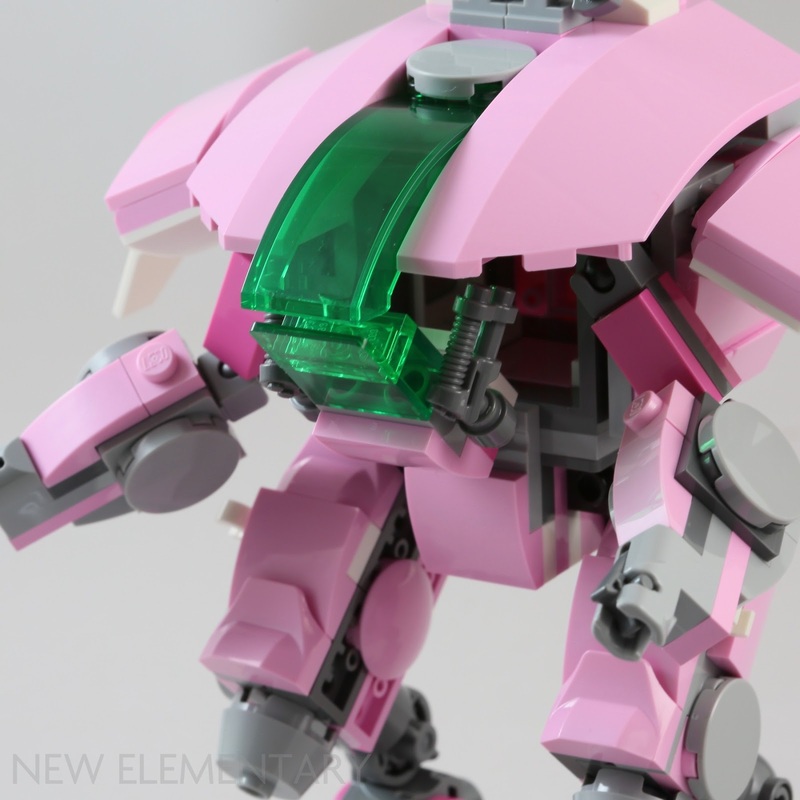 These new pink elements all form the shaping for D.Va's mech. 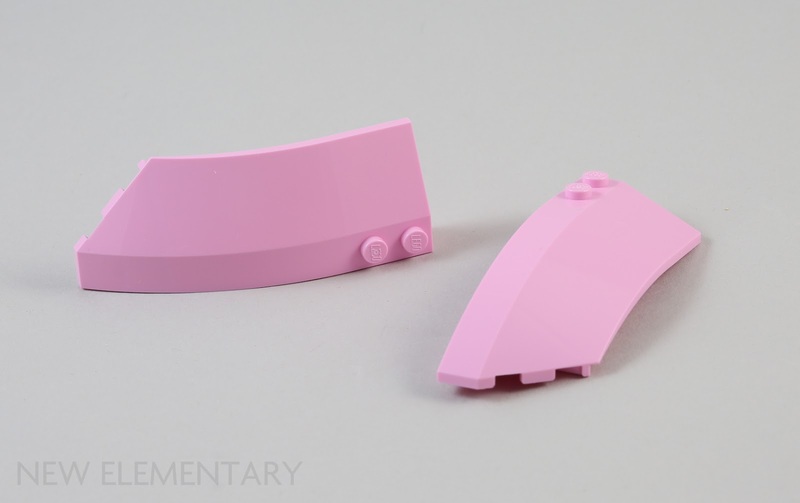 The Brick w. Bow 2x4 and the Plate 2X4X1 1/3 W. Side Bow fit together rather to form the mech's wing area with thrusters. 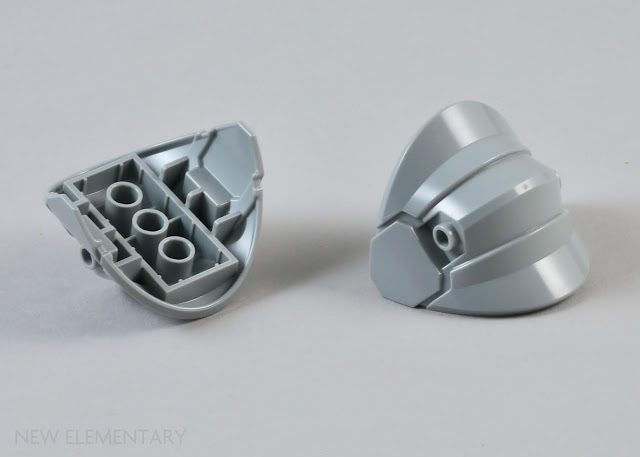 The new Plate w. Bows 2x1½ are used to create the shapely thighs whilst the shell elements are used for the main cockpit along with another recoloured element. 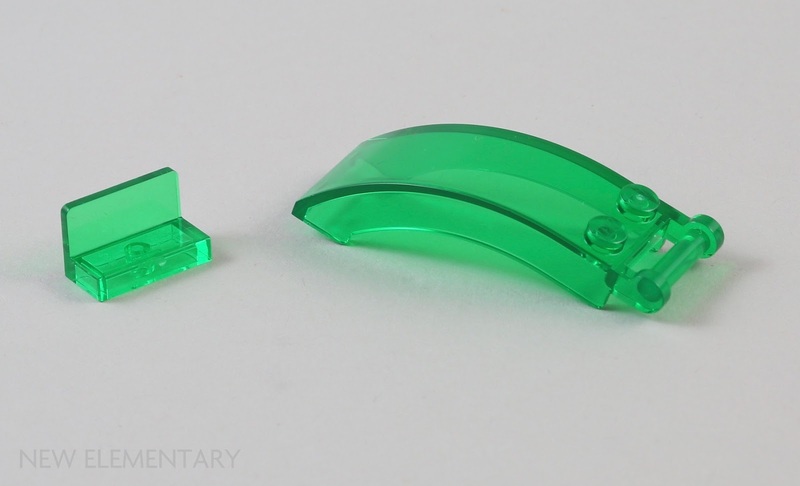 There are two elements making their debut in the uncommon colour of Transparent Green; Wall Element 1X2X1(6254879|35293) and Cockpit 2X5X2 W/ Shaft (6254880|35375) are both used to create the windscreen for D.Va. 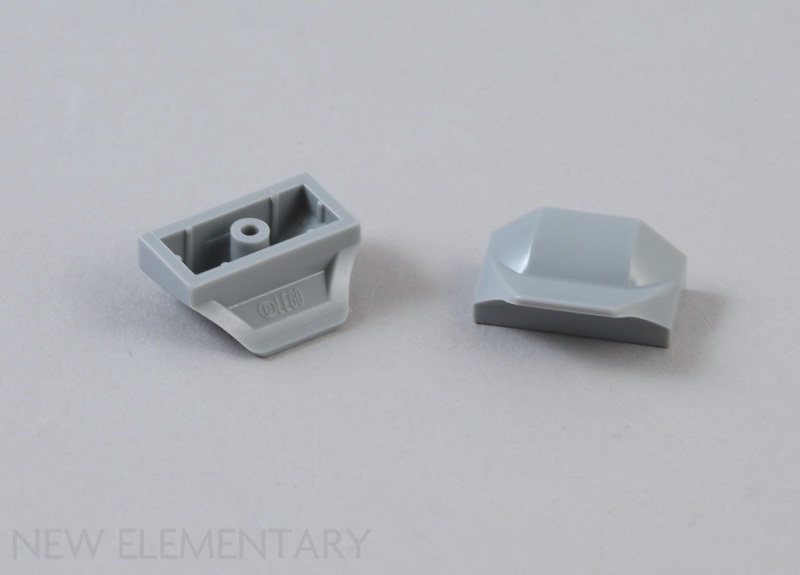 Finally, there are two elements in Medium Stone Grey. Medium Stone Grey Mini Hat, No. 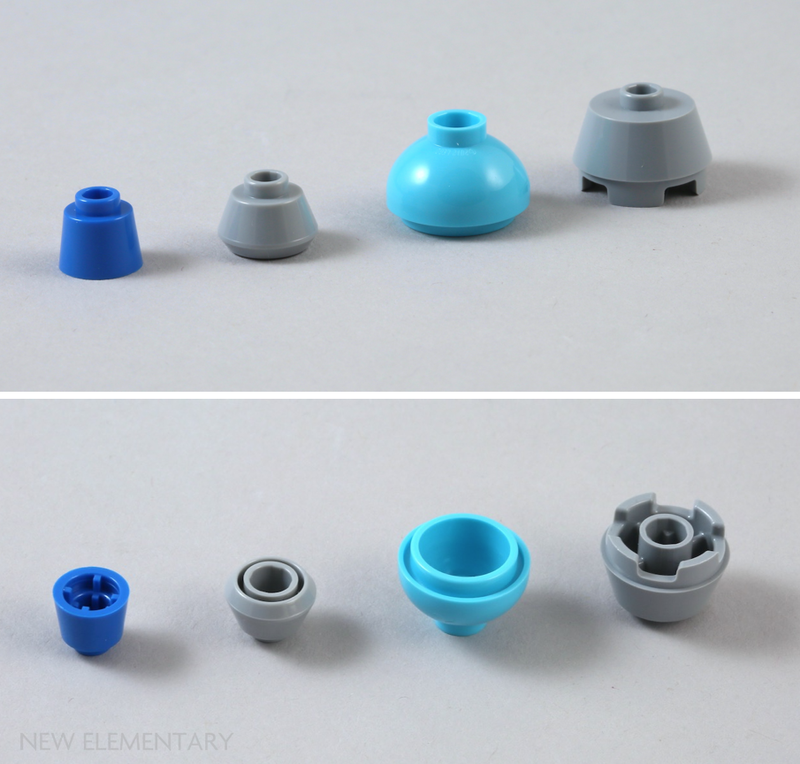 46 (6254404|33492) is a new colour for an element that has only appeared printed in Black before as MINI HAT, NO. 51 (6200065|35012), otherwise known as BB-9E. This element may have slipped by unnoticed as it has solely been part of a minifigure in two rather pricey Star Wars, The Last Jedi sets from 2017 plus the printed version has a different Design ID despite being the same mould. 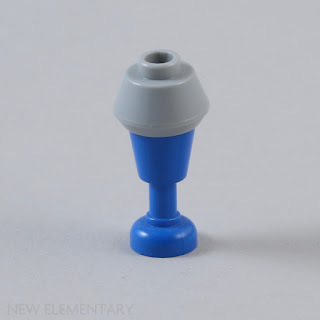 This element has a truncated cone shape at the top, an inverting curve at the base and is topped with a single recessed stud. 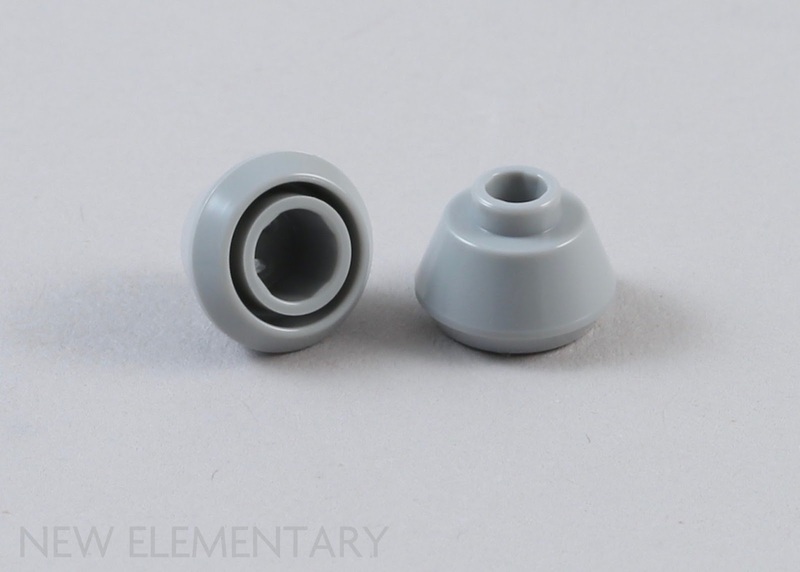 The underside has an anti-stud sized central tube. The small gap on the underside is interesting as the only element I could find to fit perfectly in this gap was the top rim of the Cup Without Wreath 'Goblet' (6269). 2X2 Round Slope Brick W. Knob (98100). All four of these elements are used as thrusters on the rear of D.Va's mech. Finally, Medium Stone Grey Plate w. Bows 2x1½ (6254402|47458) is one of those elements I had to check and then double-check that it had not appeared before. 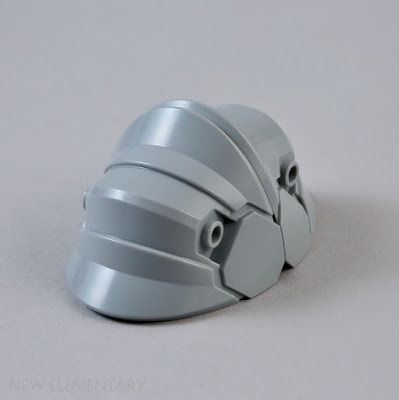 It is such a common colour that I expected this to have already been part of LEGO's inventory. 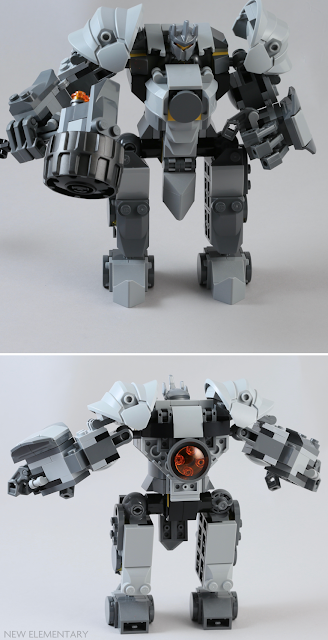 There are two in the set and they rather nicely depict the abdominal area although the dangly bit of armour below is very distracting and appears rather more...isolated...in the LEGO version of the mech. I think it would have been better to give those thighs a little more bulk as I thought this area looked rather comical. 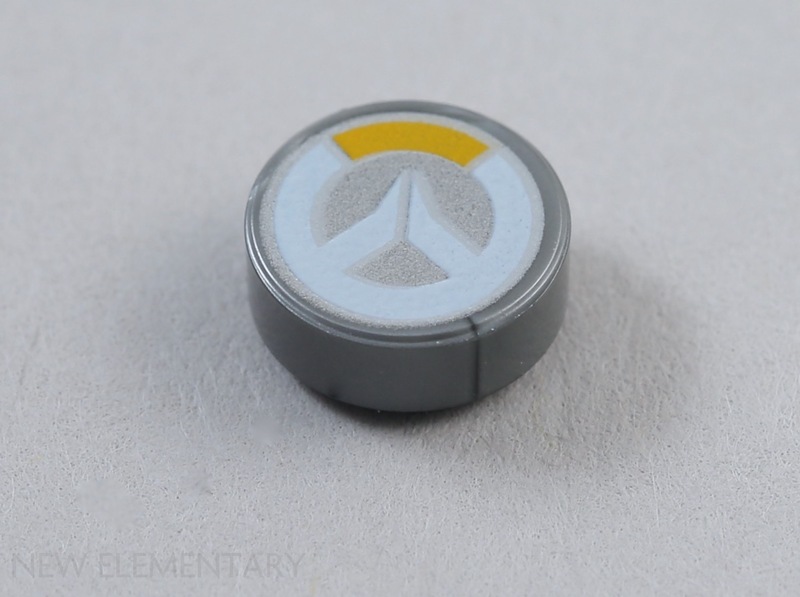 There is one new printed elements in this set that also appears in two other Overwatch sets. A Silver Metallic Flat Tile 1X1, Round, No. 108 'Overwatch Logo' (6253980|49574) printed is also supplied with a spare added in too. There's also a sticker sheet that has some cool branding and sponsors for your mechs to add a bit more realism to the builds.My sticker sheet arrived a little creased but I actually wanted to be able to play with the elements for a future post so I chose not to apply them. 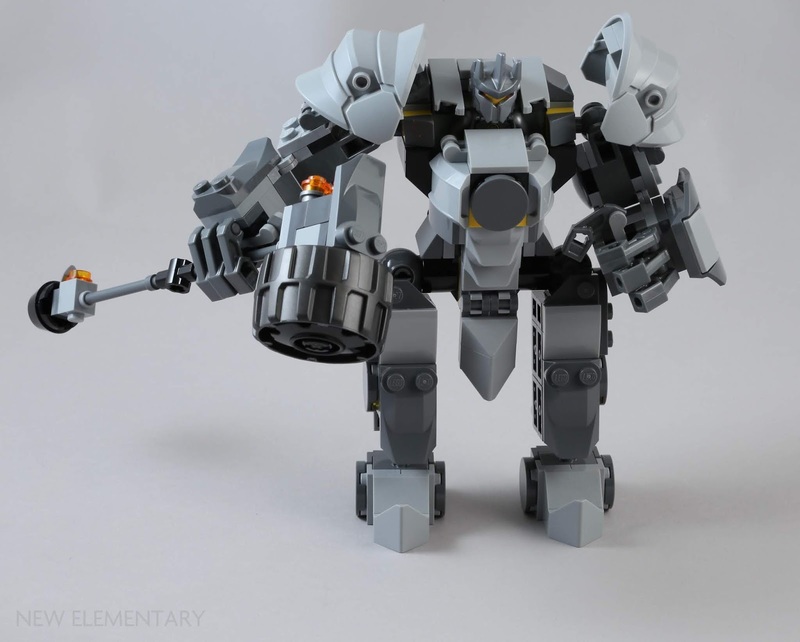 While I have to admit to not being particularly au fait with the video game Overwatch, I was able to see the resemblance in the mechs when compared to their video game equivalents. Of course, this would clearly be enhanced if the sticker sheet was used. I felt that Reinhardt was the weaker of the two mechs due to the movement (or lack of movement) in his limbs as he has no knees, a fixed flexion deformity of his elbows and very wide hips, with all the resultant issues I mentioned. Getting those two new shoulder pauldron Design Element 5x5x3 made up for this to some extent but he is not a character I would keep built. 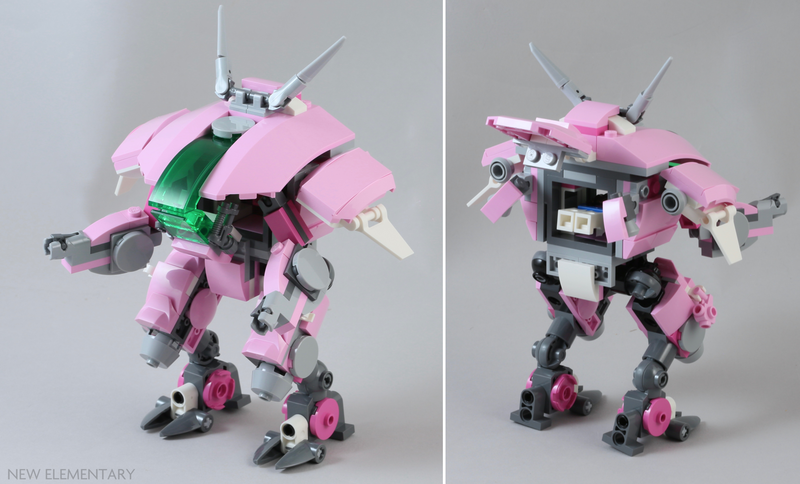 D.Va is definitely more accurate to her in-game mech plus it is a more aesthetically pleasing final build. 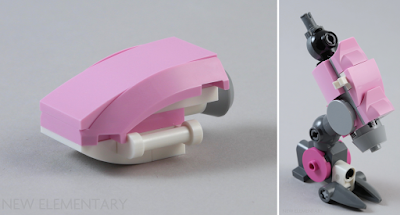 The minifigure's method of entering her mech is not the most dignified but she can easily be 'shoved into the box' as my nearly-3 year old managed to do it. 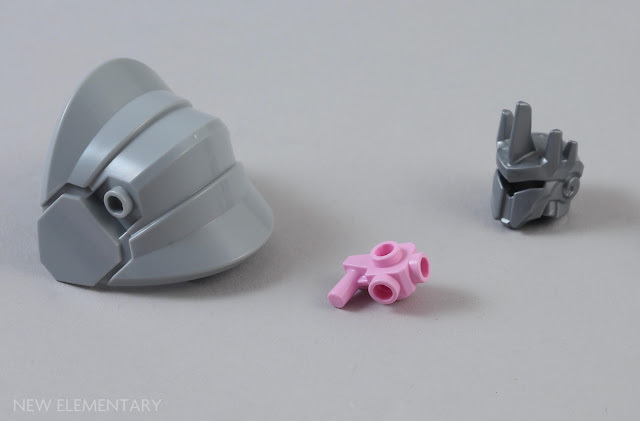 There's a great supply of Light Purple curves and slopes plus those new Transparent Green elements making this a nice little parts pack with a bubblegum-blowing minifigure bonus too. 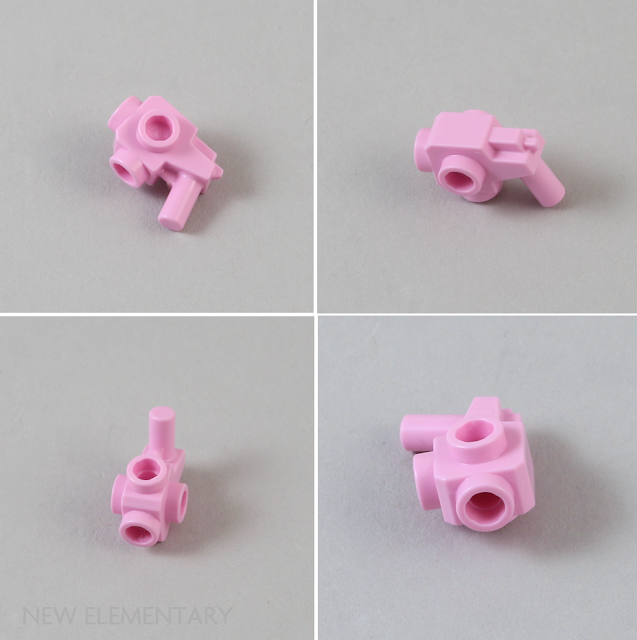 I should mention that neither the shoulder pauldron Design Element 5x5x3 nor the Light Purple Weapon No. 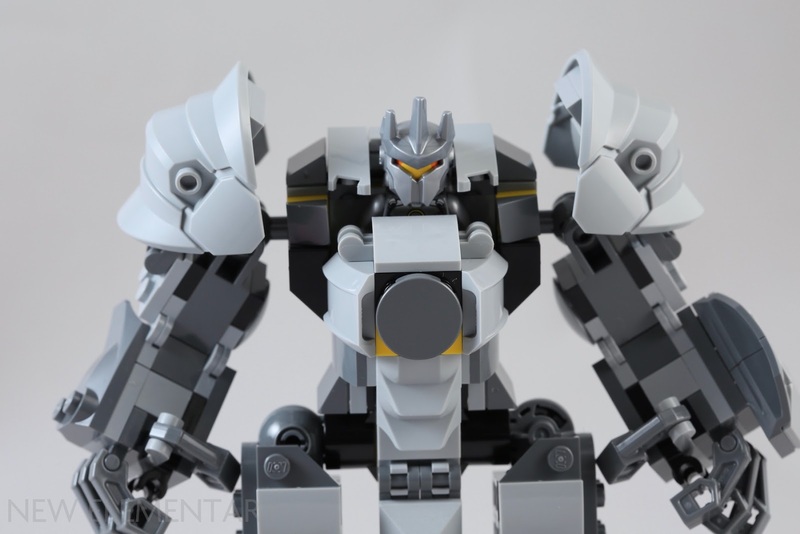 20 are available on Bricks and Pieces. It's one of those sets that bundling 2 models, 1 being very poor (Rein) and a very good one (D.Va) is annoying. I bought the set solely for D.Va and at 50% off I was happy to get her. 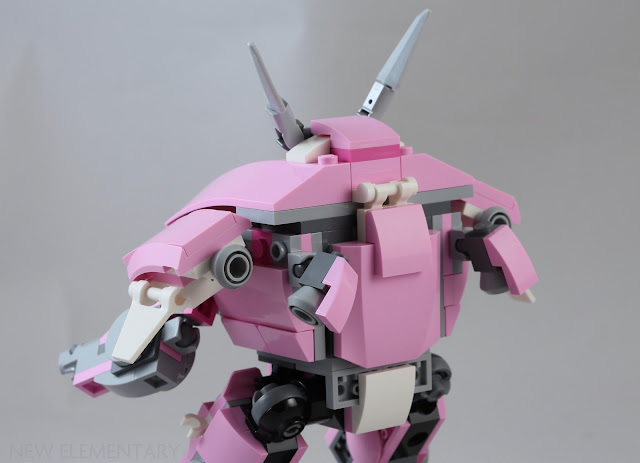 Her minifigure is so cool and her mech nicely done! 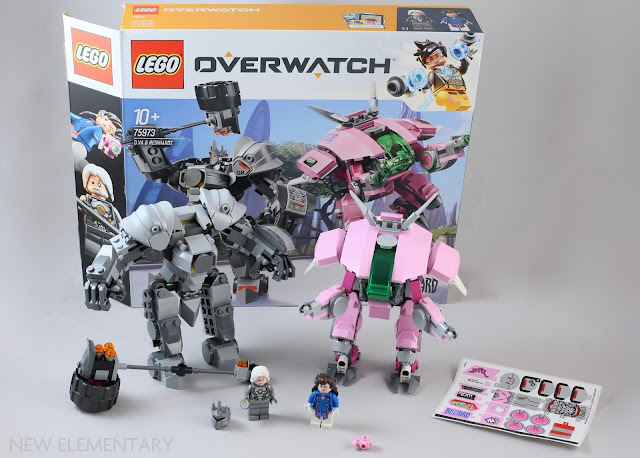 I believe that the set would have sell way much if it was only D.Va with a lower price point. 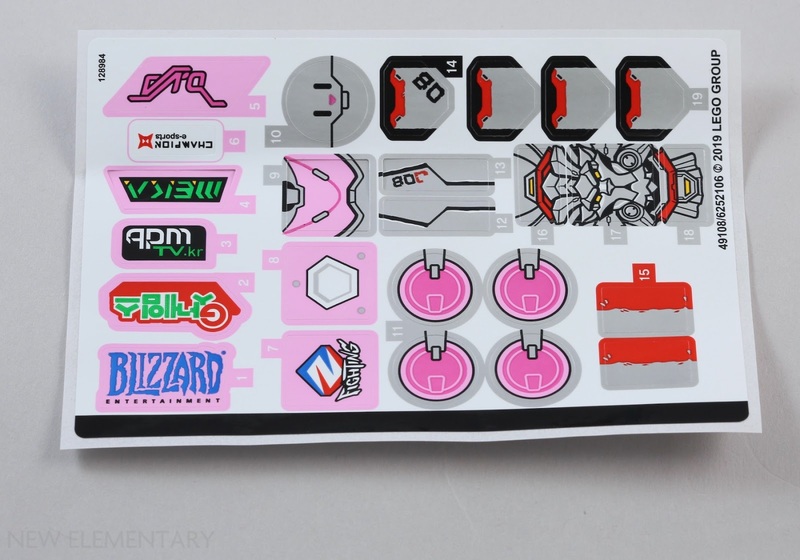 But I wish the parts were printed instead of stickers. Agree on the Sauron point - my son and daughter wanted this set for the mechs - meant they could share the set - but more importantly Ru wanted the helmet to make his Sauron mini-fig - which he has promptly done..! Yay! More trans-green for classic space theme rover windscreens. Its a cool but unusual colour. 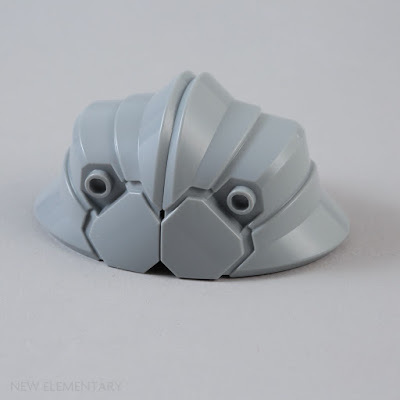 I think the shoulder pad elements would be a great base for making Mirelurks from Fallout. My only real complaint with the set is that the 4x 2x2 Round Tiles on D.va's arms should really have been printed. While I dislike stickers in general, I'm willing to deal with them begrudgingly, but when an element appears that many times with an identical pattern, it just makes sense to be a print.